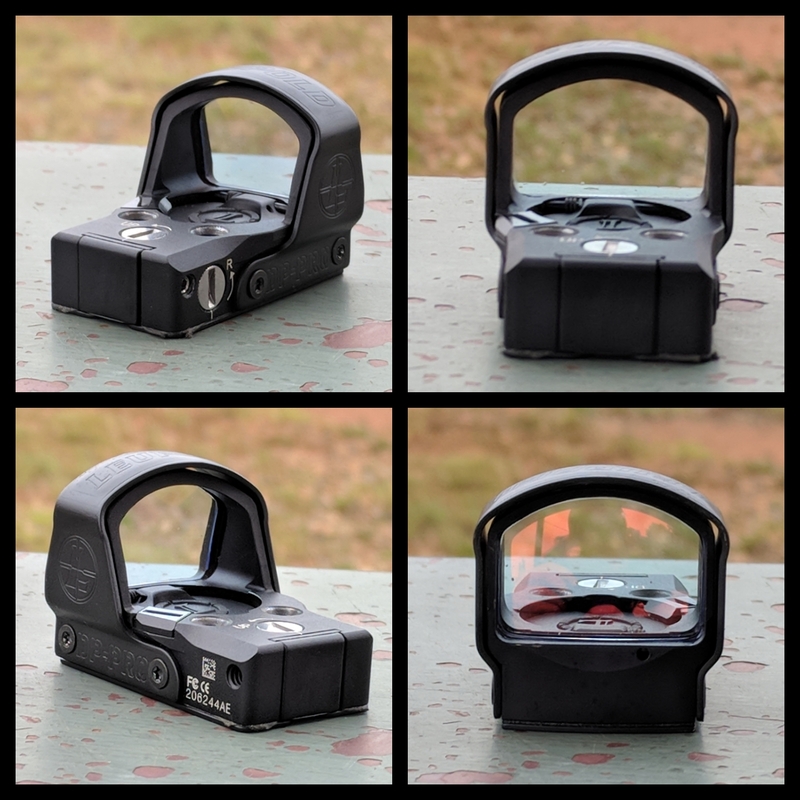 Welcome to the first red dot sight evaluation of the Red Dot Sight Revolver Project! To view previous entries in this series please visit the Red Dot Sight Revolver Project page. The Leupold DeltaPoint Pro is a popular miniature red dot sight. Several features have made it a popular choice for competition and self-defense roles. My primary use for this optics lies on the competition side of the fence. This is a very popular optic on the market, so I wanted to put it through my testing procedure. Here are some of my thoughts on this red dot sight! The DeltaPoint Pro is one of the largest red dots on the market. Perhaps the most notable feature is the optic's large window and shroud to protect the lens. This offers a very wide viewing range. I've heard many complaints regarding the size of red dot windows. This lens allows for very quick target acquisition and tracking. Leupold's lens treatment does not have the bluish tint present in other optics. While I really appreciate the more accurate colors, I did notice a bit of glare in bright sunlight. There are two different reticles available for the DPP: a 2.5 MOA dot and a 7.5 MOA triangle. I wasn't sure I would like the large triangle, so the model I selected featured the smaller dot. The optic body is very tall to accommodate the top mounted battery compartment. Several optics require removal from the mount to swap the battery, but the DPP's design does not. Changing the CR 1632 battery is quick and easy with the hinged door. The latch requires a deliberate action to open, so I can't imagine the gate popping open of it's own accord. The adjustment button is located on top of the battery door. Pressing the button turns the optic on and adjusts brightness in a linear fashion: all the way up then all the way down. I would have preferred two smaller buttons, but I understand why a single button was used. Before proceeding to my test results, I would like to discuss some of the ways the optic can be mounted to a handgun. Allchin Gun Parts Mini STS Scope Mounts are available for several optics for both Smith & Wesson and Ruger revolvers. This model is compatible with both the Leupold DeltaPoint Pro and Sig Romeo 3. Each mount ships with two alignment pins, two optics screws, and three frame screws to securely mount the optic to the pre-drill S&W frames. These are available in clear and black anodized finishes for $45.00 - $55.00. 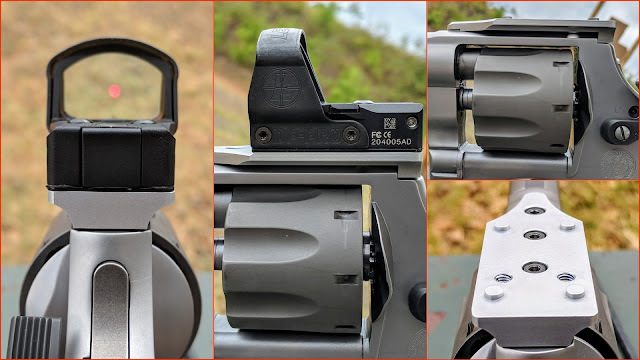 These mounts have not officially launched, but should be available soon and if you are a Ruger fan, a compatible mount is also in the development! While milling slides for optics is preferred by many shooters, the Outerimpact M.R.A offers a non-permanent solution to mounting several optics on an OEM slide via the rear sight dovetail. The M.R.A ships with a plethora of screws to mount the plate to the slide and various optics to the plate. The M.R.A. is a great way to test optics before committing to slide milling. The DeltaPoint Pro may seem to sit very high on the slide, but this did not hamper shooting in any way. These are available for $50.00 and are a great way to try an optic on your automatic! Raptor Engineering offers several mounts for Smith & Wesson, Ruger, and Freedom Arms revolvers. Raptor mounts are very low profile and include three screws to mount to pre-drilled S&W K/L/N frames. Due to the low profile nature of the mount, alternative screw may also be include if the optic's factory screws are too long. These are available in a clear anodized finish for $40.oo. The Glock M.O.S system is available on several Gen 4 and Gen 5 Glock models. The slide is milled wide to allow for several optics to be mounted. Four plates are included to fit the most popular optics on the market. The DeltaPoint Pro requires installation of Plate 04. 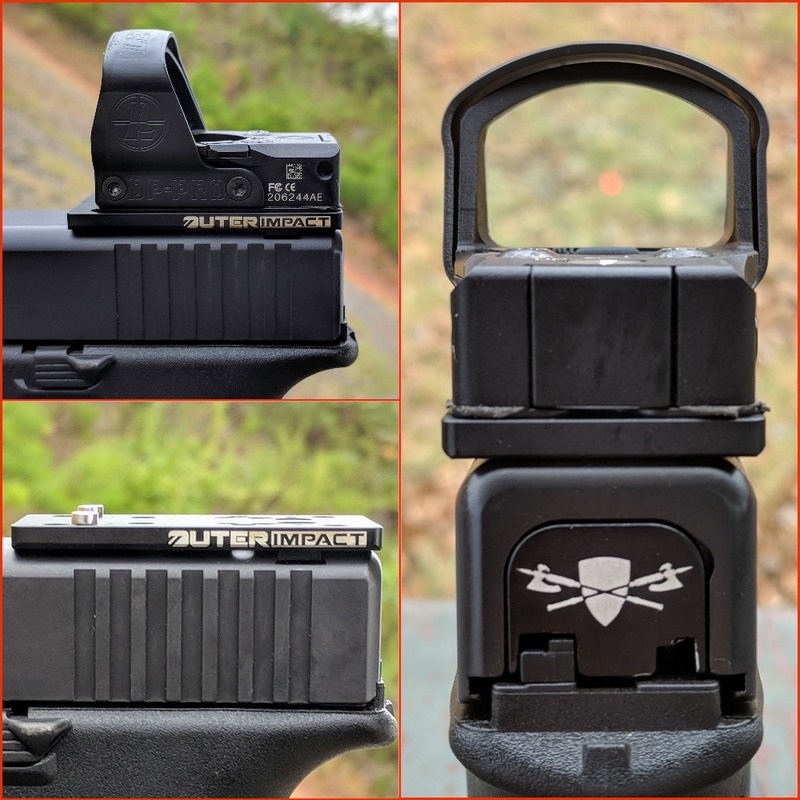 This is a great way to see if a slide mounted optic is for you! 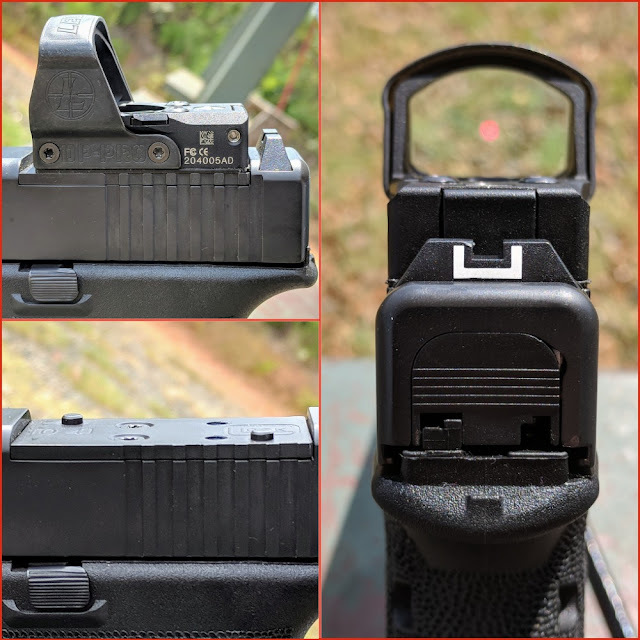 If you decided you don't want an optic anymore, you can simply install the slide cap that replicates the normal slide profile. The third goal of the RDSR Project is to compare optic equipped and iron sighted handguns. After comparing the optic data averages with the iron sight averages, it appears there is a slight performance increase with the DeltaPoint Pro over iron sighted handguns in several drills. The Bill Drill is only shot once rather than three times. The data suggests that the Red Dot Sight Automatics (RDSAs) performed better than their iron sighted counterparts. On the other hand, the Red Dot Sight Revolvers (RDSRs) performed worse than the iron sighted revolvers. The S&W 929 and S&W 66 times certainly are comparable, but the penalty time doesn't help. Excusing my performance with the S&W 929, the Box Drill results show a significant advantage to the DPP equipped platforms compared to iron sights. The other test subjects showed a thirteen (13) to sixteen (16) percent increase in speed over traditional sights. This performance increase may justify a red dot sight to those unsure of the benefits of optic equipped handgun. 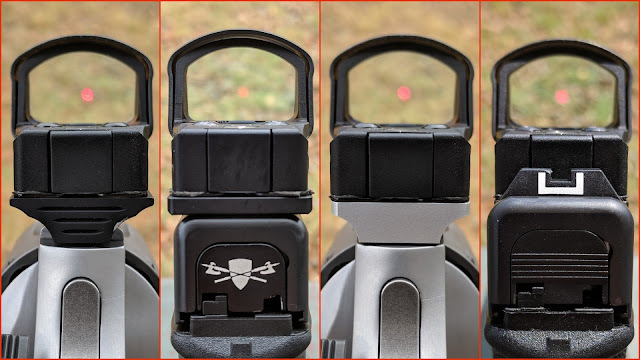 The Bullseye Drill results really highlight the advantages of a red dot sight over iron sights. Excluding the Glock 19 performance, both optics equipped revolvers saw a five (5) and percent increase in speed. The Glock 17 saw a seventeen (17) percent increase over the iron sight model. These are significant improvements in speed. I am impressed with these results! The Reload Drill is included to determine if the presence of the large DeltaPoint Pro would hinder reload speed. After reviewing the data, I would say that the optic does impact the reload. With the exception of the Glock 17 M.R.A., all of the optic equipped platforms saw increased reload times. These results have me considering how the other, slightly smaller, optics will fair? The fourth goal of the RDSR Project is to compare and contrast Red Dot Sight Revolvers (RDSR) with Red Dot Sight Automatics (RDSA). 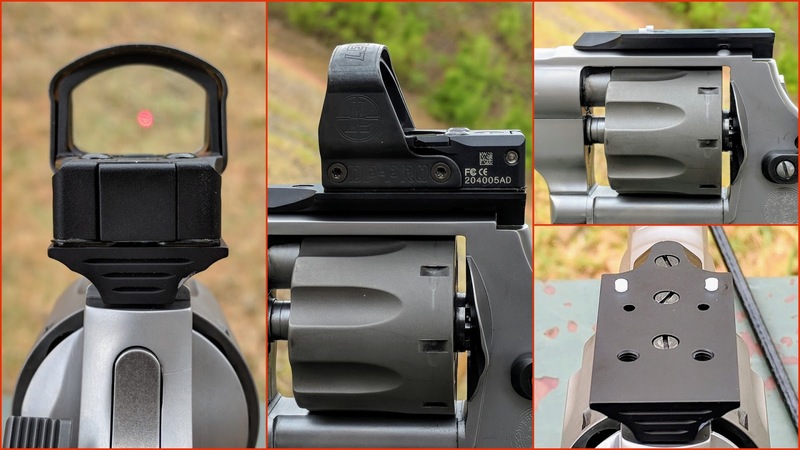 After the first optic and iron sight comparison, the data gathered suggests that RDSAs have the advantage over RDSRs. This is especially true if a timed reload is included. The lighter trigger pull and simpler reloads will always be an advantage for automatics, but in just the opening shots of a stage, I believe the RDSRs can hold their own. I am looking forward to more data and further comparisons among the platforms. The Leupold DeltaPoint Pro is a big optic, but the features gained from the large size are well worth it. I was a bit worried that the size of the optic would translate to addition recoil on the automatics. Luckily, the felt recoil did not noticeably change when compared to iron sights. The top mounted battery compartment is a great design that does not require the optic to be removed and re-zeroed when a battery change is needed. Most of my dot experience thus far has been with larger 6 MOA options, but I decided to try the smaller dot rather than the larger triangle. The 2.5 MOA dot is significantly smaller than other optics I have used in the past. While acclimating to the small dot required a little trigger time, I found myself just as happy with the smaller dot by the end of my testing process. The smaller dot was actually helpful in making accurate head shots in two matches I was able to shoot with the DPP. I even managed to place top 10 for the first time! I really enjoyed this optic and would definitely recommend for revolvers and automatics alike! In my quest to being bad with multiple guns, I've decided to try uspsa revolver and in my research ran across your site, found some great information - subscribed via rss. Very cool stuff, keep it up, and I look forward to this series.